I go through a lot of new and exciting gear, but only once in a while something comes along that completely changes my entire approach to documentary filmmaking. The Canon 5D mark II disrupted the filmmaking industry. Aerial video with DJI Phantom quadcopters continues to be a game changer. Brushless gimbals were slated to be the next huge thing, but none of the dozens of manufacturers have got it quite right for it to be a mass hit. Until now. Enter the Letus Helix Jr.
My Video Dads partner and I travel to shoots every other week – across Alaska and all over the lower 48 states. We have a very structured system of packing, so we don’t have to use hard cases that add up in luggage cost. And once we arrive at the location, we have a very fine tuned system of shooting everything we need for a short documentary in under 4 hours. We’ve done this hundreds of time, so believe me, uprooting our system to add one more piece of gear is like pulling teeth. That’s where the Letus Helix Jr. shines – we don’t have to change anything. It’s so small, simple, and just works – that it’s as much additional headache as adding another lens to our kit. But the kind of footage you can get with this gimbal – in all kinds of remote documentary settings – is simply astounding. After receiving it only a few months ago, we have used it on every shoot, in cars and busses, on a helicopter and planes, on a boat, on remote miles-long hikes and up a mountain, to many simple walking shots indoors and outdoors in just about any weather. 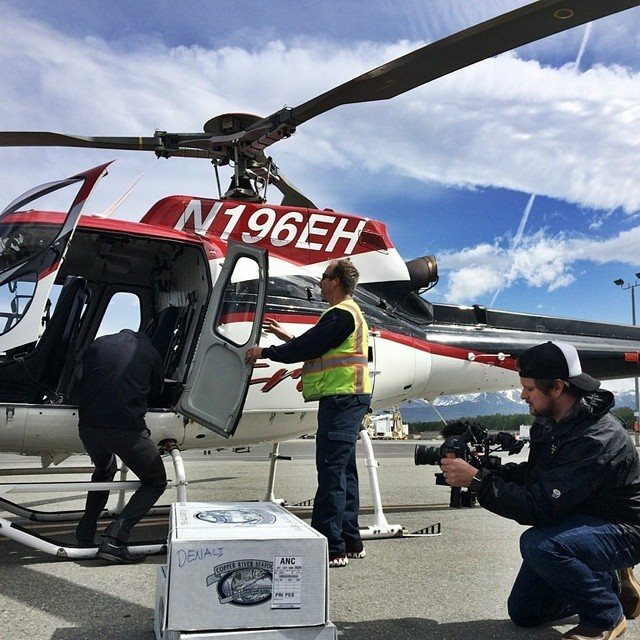 Here’s a video we shot for Princess Cruises – 2 days of running around capturing the start of commercial salmon fishing season in Cordova, Alaska, and on a journey up to Denali National Park. The Helix Jr came with us everywhere, ready to go at anytime. Okay so you’ve probably seen gimbal or steadicam footage before. 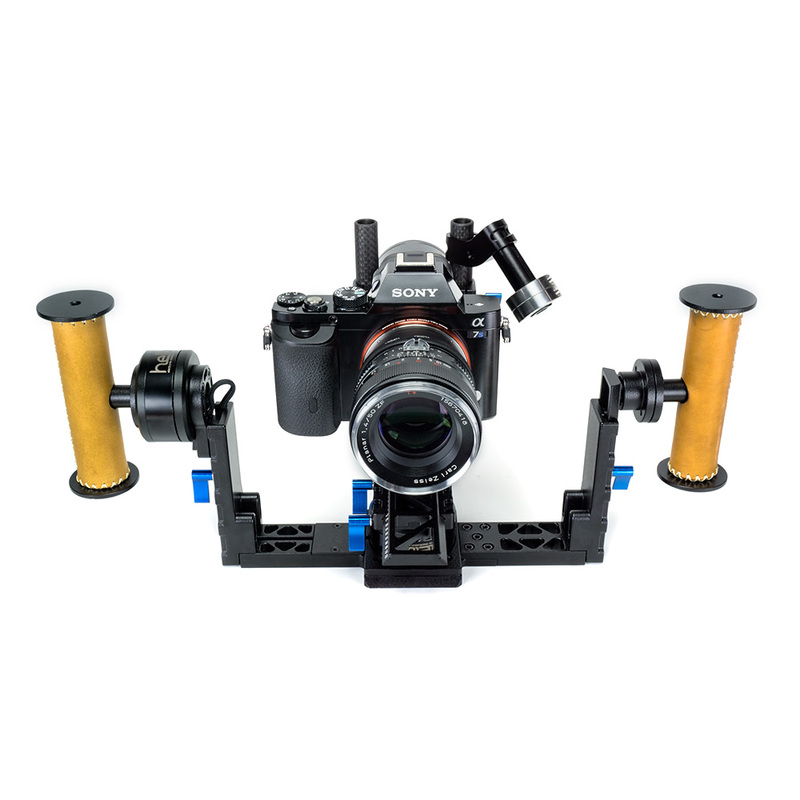 Why is the Letus Helix Jr. the gimbal that stands out as a game changer? There are lots of great 3-axis gimbal models out there, including Freefly Cinema Movi (correctly spelled “MōVI”) M5 and M10, Defy G2, G5, G12 (and now the G2X), BeSteady One, several Came-TV gimbals, the DJI Ronin and now the Ronin M. There are also lightweight gimbals made particularly for tiny cameras, like the Nebula 4000. And of course before brushless gimbals there were plenty of non-electronic stabilizers or steadicams. First and foremost, balancing the camera is a breeze. That’s because you don’t need an accessory stand – this is a huge deal – so you can balance the camera on any flat surface. You also don’t need any additional tools. Because you balance the camera body, you can now change lenses and zoom in and out without having to rebalance. If the lenses weigh significantly different, then a quick shift of the bottom z-axis (to move the camera forward or backward) is all it takes. You hold the rig close to your body, in a comfortable position, unlike most gimbals that wear you out within minutes of use. I can carry and shoot with the gimbal for hours a time without any additional support system (and I’m a pretty small/weak guy). The Letus Helix Junior can use both lightweight cameras as well as heavier ones. The fact that I can use my A-cam (the Canon C100), which has autofocus, makes this a lot more attractive than having to carry a separate small B-camera just for gimbal shots. Those are the big differences between the Helix Jr and other gimbals or stabilizers. 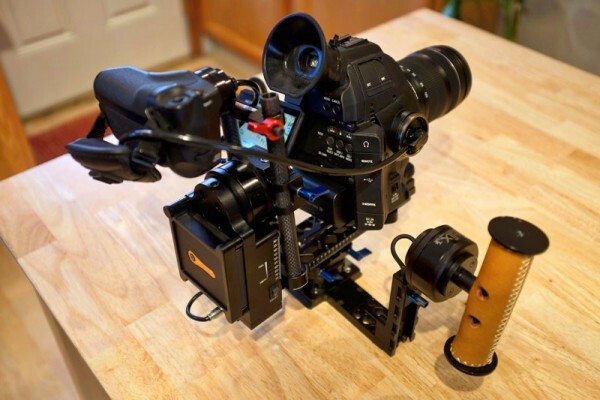 Mostly it’s just easy and simple to use, and I’ve used lots of gimbals. Many of them require you to put aside everything else you’re doing and just focus on gimbal shooting for hours, even with secondary operators focusing for you with expensive remote monitor systems. The Letus Helix Jr is durable yet small. It folds into the size of a large book for travel, rigged up and ready to use at a moment’s notice. Most other gimbals you have to take apart to pack them in large hard cases, along with their accessory stands. You can hold the camera low to the ground with one hand (in what they call “briefcase” mode), follow someone’s feet as they’re walking, and then lift up and rotate to two-handed operation – while keeping a steady shot. Modifying the speed of the pan/tilt is easy with the included software. You can use a computer, Android smartphone or tablet, and now an iOs app on your iPhone or iPad (or iPod, if you still have one of those). Sometimes you want slow and graceful movement, and sometimes you want faster, more reactive pans and tilts. You can tilt up and down just by rotating the right handle. Much more natural and eaiser than having secondary operators or using a throttle. All gimbals get out of whack and go crazy if they’re touched or mishandled. At the least you would lose your shot and have to start over, at the most you would have to stop and rebalance for 20 minutes (using the accessory stand…sigh). The Helix Jr recovers from going out of whack in a second or two – even as I’m moving inside a bumpy car. 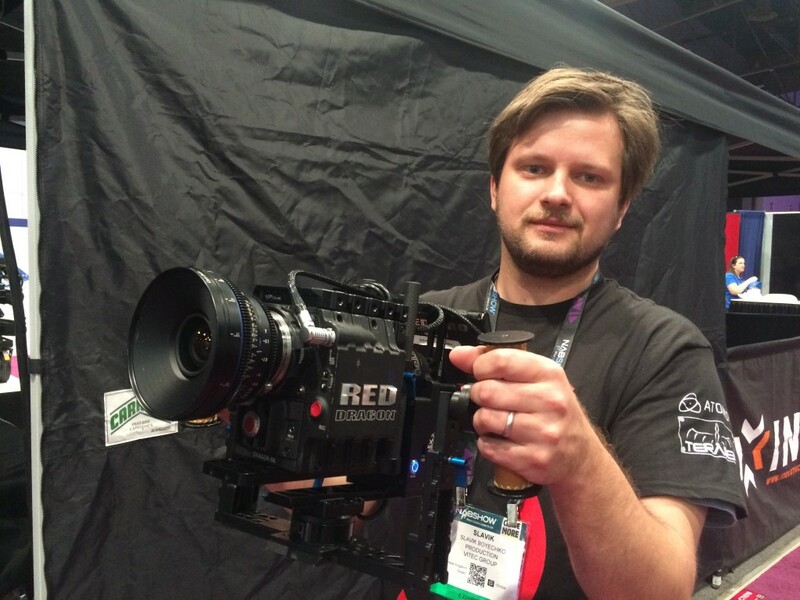 Me holding the Letus Helix Jr with a RED camera at NAB 2015. Basically it just works. It’s the gimbal for the masses. It does cost $3000, so it’s a stretch for most video producers. But it’s also something that changes your game completely. 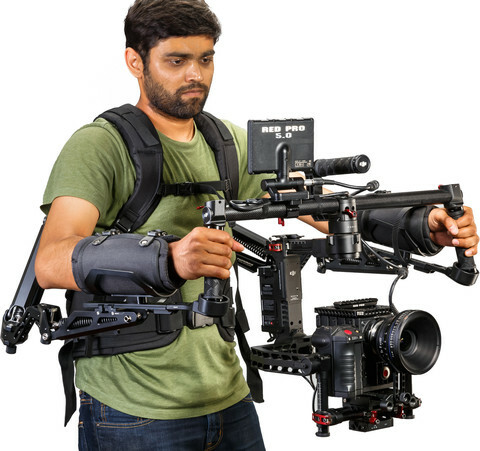 Especially if you’re a documentary shooter who doesn’t have time to deal with the heavy, complex gimbal systems that need a dedicated operator on set. If you just want a few steady shots when you’re in a car, walking around, moving from place to place – then the Letus Helix Jr. is your solution! 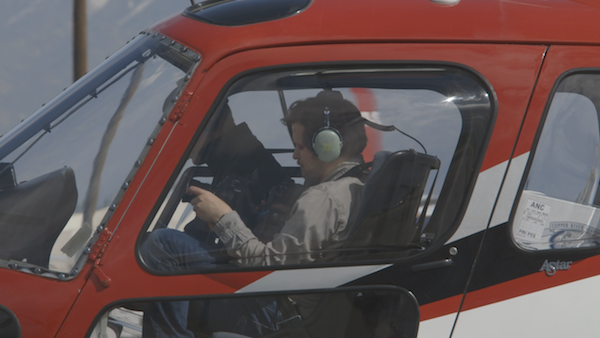 Letus Helix Jr and C100 on two Alaska shoots from Video Dads on Vimeo.